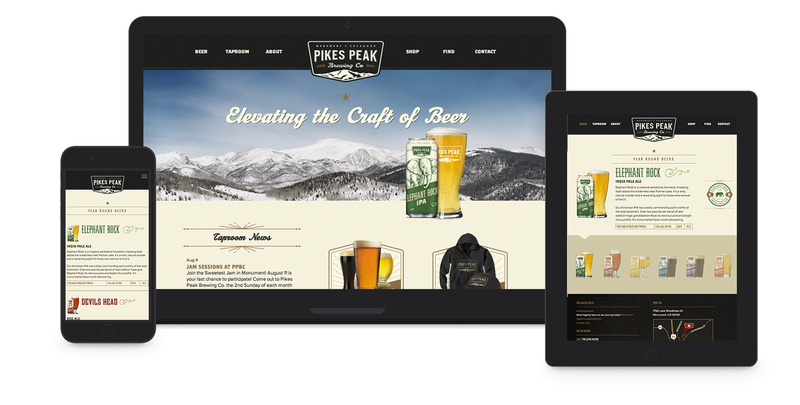 Set in the foothills of its namesake mountain, Pikes Peak Brewing Co is a small Monument, Colorado based brewery with big plans. Beloved locally for its classic ales and cozy taproom, Pikes Peak had a solid foundation in place and were ready to climb a little higher. With plans to start canning its product and selling in stores, Pikes Peak knew it needed a brand that would stand out on the shelf. 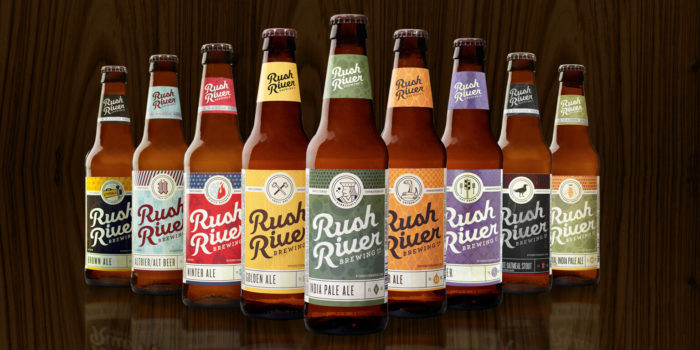 Having seen our work with Rush River Brewing Co on a popular design blog, the owner of Pikes Peak was confident Westwerk would rise to the challenge. Pikes Peak had a good thing going: they were popular in the local community both for their brews as well as their taproom, which featured a cozy seating area, patio and space for live music. After a couple years, however, they were ready to expand into a bigger market – which meant canning their product and offering it for sale both in the taproom and throughout the greater Monument area. But, with an outdated logo in their brand repertoire, they had a long way to go. 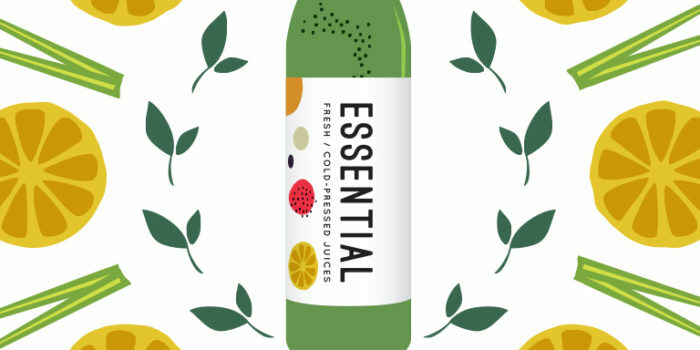 Our challenge was to create a logo, brand and packaging design that incorporated the iconic mountain imagery (a popular design choice among Colorado breweries), yet was original and striking enough to catch consumers’ eyes in an oversaturated market. Pikes Peak’s identity was heavily rooted in Monument, Colorado’s natural history, so our first order of business was flying out west for a tour. In addition to doing a circuit of the local monuments and natural landmarks, we also scoped out other craft breweries in the area to get a feel for the competition. After extensive market research and taste testing (what can we say, we like our beer! ), we were pleased to find that, flavor-wise, Pikes Peak clearly stood out from the crowd – we just needed to figure out how to make it stand out on the shelf. Pikes Peak’s existing logo was overly complicated with too many colors and unnecessary details. It appeared outdated and of a lower quality than the craft beer it represented. Pikes’ owner liked the idea of mimicking the logo in the style of a park ranger badge, so we set to work building the brand identity around a vintage, heritage style with the mountain front and center. 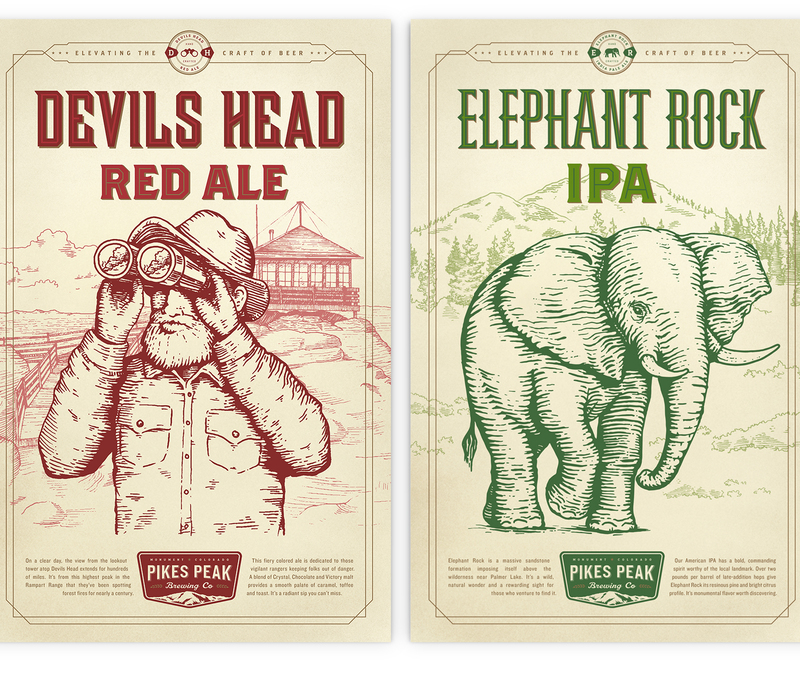 Since all of Pikes Peak beers are named after historical landmarks, monuments or local events, the new brand played off that theme and extended seamlessly from their newly canned product to their updated digital presence. Rolling with the vintage national parks theme, we incorporated custom illustrations into the can designs for each of Pikes Peak’s six different brews. In keeping with their strong ties to the region, each flavor of beer references a local monument or historical event. The strong pop of color in each of the designs helps catch the eye of customers both on the shelf and in the taproom. To help promote Pikes Peak’s new identity and expanded offerings, we also designed a series of print ads, posters and billboards. A completely redesigned responsive website allows users to learn more about their favorite brews, check the taproom schedule for upcoming events, buy merchandise and find beer locally. Armed with a power-packing new brand, website and custom illustrated cans, Pikes Peak is soaring to new heights. In a land oversaturated with craft breweries, Pikes Peak has managed to elevate itself above the competition and truly earn the title of its namesake mountain. With sales in stores and tap rooms continuing to climb, we’re confident Pikes Peak will reach the summit of success in no time. Just one year after launching the new brand, wholesale sales have shot up a whopping 250% and tasting room business is booming with local beer fanatics. Need help boosting your brand? Let’s Talk.